Hiking is one of the most underrated family activities. Not only is it free, it’s also a fantastic opportunity to spend time with your children while exploring some of the beautiful outdoor trails that surround your area and beyond! There are so many trail options to explore with your loved ones. But it is important to remember that when undertaking an exercise such as hiking, you make sure that your children can enjoy the countless health benefits of exercise while staying safe and comfortable. To ensure your child’s hiking experience is the best it can be, it’s highly recommended that you invest in proper hiking boots for them. Not only will this make sure that your child is completely comfortable when hiking long distances, it will help protect your child’s feet from blisters and sores. To make sure you’re making the right choice when it comes to hiking boots, I’ve compiled a list of some of the best hiking boots on the market. And if you’re not sure what you’re looking for, follow my comprehensive step-by-step buying guide, giving you all the knowledge you need to make an informed purchase for your kids. 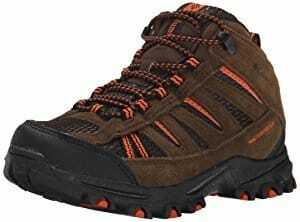 Get ready to start some amazing adventures with my top five hiking boots. The Renegade Trail is ideal for traversing all kinds of landscape. The boot itself comprises of the perfect blend of synthetic, leather and mesh materials that come together to make this high-quality product that is built to last. The sole provides a solid foundation which is connected to the upper part of the boot by waterproof seam-sealed leather that helps keep your child’s feet dry at all times. The embedded steel shank allows the boot to hold its shape, maintaining a high level of durability. The insides of the boot are produced using heavily compressed and molded EVA mid-sole materials, which optimize the boots for maximum comfort when walking, no matter the distance. What's Great About It: The tread of the boot is multi-directional and covers the outside of the boot so your child won't slip when walking. There are many sizes available with two variations aimed towards 4 to 8 year olds, and 8 to 12 year olds. 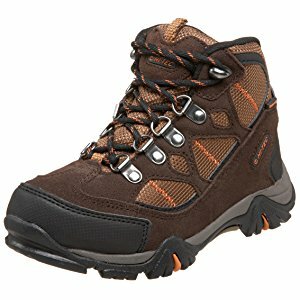 One of the more affordable hiking boots on my list, this is a lightweight solution that gives you complete flexibility of use. The high-performance mesh and synthetic material make the boot comfortable, which is perfect for hiking and everyday use. This boot has been designed for children aged 1 to 4 years, giving them the support and confidence they need to explore. The market-leading Keen brand places most of their attention on producing boots and trainers for children that encourage them to live a healthy lifestyle. These boots are available in a range of sizes, so you can find the perfect fit for your child. What's Great About It: The soles are made of high-quality rubber, which is durable enough for everyday use. Available in a variety of colors with easy to use Velcro straps, this pair of hiking boots is ideal for children looking to take their first steps into the wonderful world of hiking. 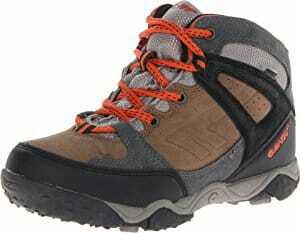 Hi-Tec is the leading brand when it comes to hiking boots. The Hillside Walking Boots are made from high-quality suede and mesh uppers that help your child’s feet to stay comfortable, dry and hygienic. The outside of each boot is covered with the patented Dri-Tec waterproof membrane as well as an easily removable, contoured EVA sock liner that sits comfortably in the boot. The body of the boot consists of a textile/leather blend which is stitched to the thick rubber base, making the boot as durable as possible. What's Great About It: The rubber base has a highly-developed grip pattern, which provides support and traction as your child explores. The Hillside WP allows your child to go wherever they want, from climbing rocks to paddling in rivers. Ideal for children between the ages of 4 and 8 years, the Pisgah Peak Mid Boot provides all the support and comfort your child needs when out on their expeditions. With the body of the boot consisting of high-quality leather and rubber, this boot is extremely durable, even when exploring the harshest terrains. The boot sits perfectly onto a thick rubber sole, designed to protect your child’s feet at all times, so they can enjoy comfort while hiking. The built-in, 4.25-inch support shaft maximizes support, while the seam-sealed membrane that covers the body of the boot provides great waterproofing. What's Great About It: This boot has a cup sole incorporated on the inside, cushioning your child’s feet with every step, reducing the risk of sores or blisters. The bottom of the high-density rubber sole is molded with a reverse grip pattern, so your child won't slip when exploring rocks. The Tucano hiking boot is suitable for children of all ages and prides itself on the suede and synthetic material blend that optimizes support and comfort. The body of the boot is securely fastened to the thick rubber sole, which is designed to protect your child’s feet while giving them good grip and support. The outside of the body is covered with a high-quality suede/mesh blend that boasts superior waterproof properties, so your child’s feet remain dry as they explore. The inside of the boot houses a ‘Big Fit’ sock liner system, which provides comfort and durability. What's Great About It: These boots come in a range of colors and sizes, and are very comfortable due to the inner acetate midsole, which cushion your child’s feet. Making sure you buy the right hiking boot for your child is so important. Aspects such as design and color all come down to personal preference, but there are a lot of features that boots have that you should be aware of. Before buying a pair of boots, consider the step by step buying guide below to make sure you’re investing in the right pair of boots for your child. 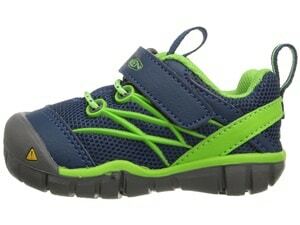 The traction of your child’s shoe is crucial to get right, and is dependent on where you are going to be hiking. The more uneven the terrain, the higher levels of grip your child will need. The majority of hiking boots are designed to have as much grip as possible, but if the boots you are looking at don't have good grip, avoid them. One of the most important aspect of boots to consider is comfort. If your child is uncomfortable during their hike, they will grow to dislike the activity, and the boots can cause damage to your child’s feet. A child with sores and blisters is not a happy child. When looking for the perfect pair of boots, look for high arches, flat insoles and a cushioned body. Support comes from the arch of the boot, and an ill-fitting arch can cause discomfort, sores and tenderness. It will also make it difficult for your child to walk comfortably. Make sure your child wears in the boots before going on a hike. You can tell if a boot has a high-quality arch support by testing how sturdy the shoelace part of the boot is. Hiking boots are renowned for being heavy, but there are a full range of lightweight hiking boots that are perfect for kids. You should opt for lighter boots in the summer and heavier boots in the winter. This will help regulate temperatures in the boots and optimize your child's comfort. This is an important factor to consider, especially if you will be hiking in the summer. If your boots are not breathable, your child's feet will sweat, which will create blisters and sores. The build quality of your hiking boot is determined by what materials the boot is made from. Look at the stitching that connects the body of the boot to the sole and make sure it is sturdy and well-sewn. This is the most fragile area of the boot and is typically where it will break. Your child will encounter plenty of rocks, sticks and thorns which can cause them great discomfort. Look for a thick rubber sole and high-quality body. If the sole isn’t thick enough to protect your child’s feet from thorns and rocks, you need to look for something else. Always consider where you’re going to be hiking and what kind of terrain you will be exploring. 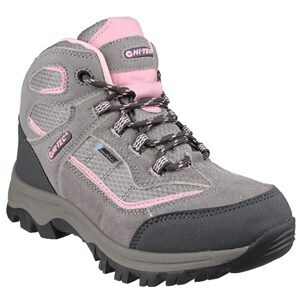 If you are visiting well-trodden trails which are easy to walk on, a breathable, lightweight boot is ideal. If you’re going on off-road trails to explore more challenging terrain, a high-grip, high-quality boot is what you need. Buying the perfect boot can maximize your child’s enjoyment of hiking, giving them the opportunity to experience the world around them. Not only will you enjoy countless hours of quality time as a family, your child will benefit from being outside and physically active.